Check out this ultra cute depiction of Alex McCormick by local Baltimore artist, J. Daniel Cordes Illustration! He'll be doing a variant cover for an upcoming issue! We're pretty stoked to have this talented artist on the team! 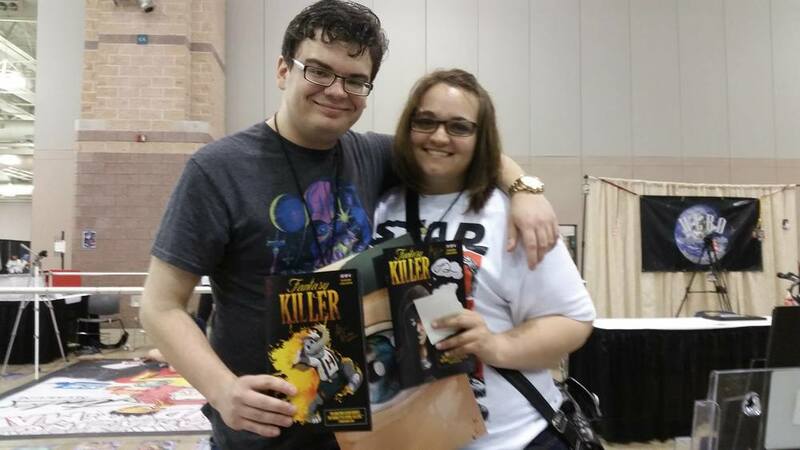 Big thanks to everyone who came out the Cosmic Comix signing of Fantasy Killer #2 with Kevin! FANTASY KILLER GETs A 9 OUT OF 10 REVIEW FROM COMICWOW! "Readers should buy this comic for two reasons. Second, supporting quality independent creator-owned titles like this helps talent develop and creates a more diverse talent pool in comics. First, this is a really good comic." Thanks to everyone that came out to the Signing and release party at Third Eye Comics! Stay tuned for all the info. Follow us on facebook and sign up for our newsletter for updates and all that good stuff.